On the afternoon of June 20, 2018, five Christian women (aged 20 to 35) were beaten and abducted from their Christian school while they performed a street play in the Eastern India state of Jharkhand. A day after they were released (the attackers threatened to kill them if they went to the police), the women reported the assault to authorities. It was soon confirmed that all five women had been gang-raped. The attack was also allegedly filmed on cell phones. These horrific attacks give us a glimpse into what the 65 million Christians in India are facing in this land of 1.3 billion people. The country now ranks as the 10th most dangerous country on the 2019 World Watch List–up from No. 11 in 2018 and No. 15 in 2017. Since 2015, the world’s second-most populous country has risen 11 spots due to increasing pressure and violence against Christians. Research for Open Doors’ World Watch List shows that in 2018, more than 12,000 Christians were attacked. But this number is only the tip of the iceberg, researchers say, as increasing numbers of persecution acts go unreported. Nevertheless, India’s World Watch List violence “score” for violence is extreme, rising from 14.4 in 2018 to 15.2 in 2019. More Christians were killed in India than last year, and the number of churches attacked increased substantially from 34 last year to 98 this year. 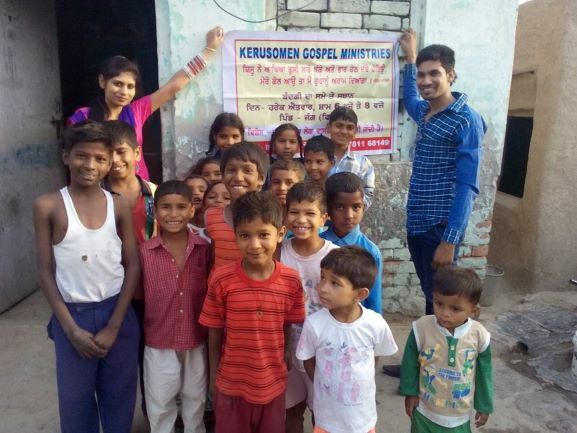 Looking at the statistics, it’s evident—and undeniable—that Christians in India are and have been for quite some time the targets of Christian-based torture, persecution, and oppression at the hands of their fellow countrymen.